Cristiano Ronaldo apparently demonstrated his generous side after reports claimed he left a hefty tip for hotel staff at the resort he was staying in on holiday in Greece. The former Real Madrid superstar swapped Los Blancos for Juventus this summer in a stunning transfer that will cost €100m (£88m/$117m) plus €12m (£11m/$14m) in additional fees. 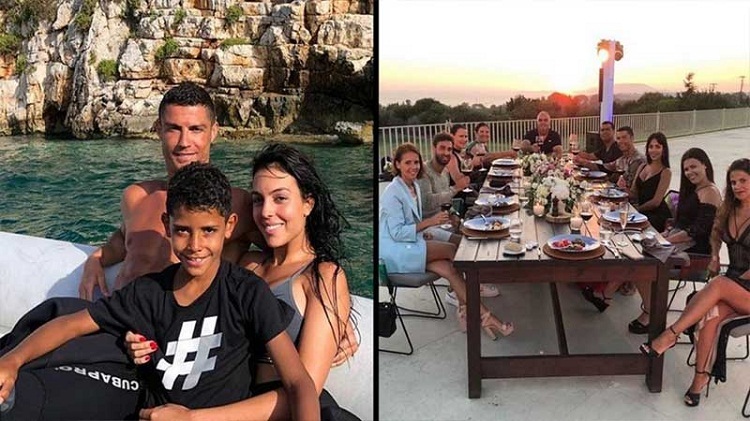 And before joining up with the Italian side, the prolific Portugal international took a vacation with his family after his World Cup exploits that saw his country knocked out by Uruguay at the last-16 stage. It would seem the 33-year-old and his partner Georgina Rodriguez were very well taken care of by the staff of the hotel, with Ronaldo reportedly leaving a tip worth €20,000 (£18k/$23k). “The 10 employees, who had been tasked with providing services to Ronaldo’s family and to keep them away from the paparazzi, each received €2,000,” the Greek online sports magazine, SPORtime, claimed. The Royal Methoni villa, where Ronaldo spent 10 days with his family and friends after being knocked out of the World Cup in Russia, offered round-the-clock butler services along with sand dunes to keep photographers out. With the new Juventus star, who scored 44 goals in his final season with Madrid, keen to relax and unwind with his family, including son Cristiano Junior, privacy was clearly of paramount importance. Ronaldo, and Georgina Rodriguez, posted from the idyllic resort on Instagram, with the one-time Manchester United forward having also met with Juve president Andrea Agnelli in Greece prior to finalising his transfer to the Serie A champions. After his break, the Portugal superstar then headed to Italy to undergo a medical and officially be presented as a Juve player, where he was greeted by thousands of jubilant supporters of the Italian club. He has since travelled to China as part of a promotional tour and it is unlikely he will feature for his new team in pre-season, with Juve facing Bayern, Benfica and Ronaldo's former side Real Madrid as part of their International Champions Cup campaign.